for $175,000 with 2 bedrooms and 2 full baths. This 958 square foot home was built in 1985 on a lot size of 189294.00 Sqft. All offers will be considered. Seller wants to move the property. TENANT IN PLACE $1, 100 INCOME PER MONTH. LEASE EXPIRES 7-31-2019. HOA $305 PER MONTH. TAX $187 PER MONTH. INSURANCE, SEWER AND WATER COVERED IN HOA FEE. WONDERFUL UNIT LOCATED IN A GREAT, ALL AGES, COMMUNITY IS WAITING FOR YOU. THIS UNIT COMES WITH GRANITE COUNTER-TOPS. LAMINATE FLOORS AND MANY OTHER UPGRADES. CONDO ASSOCIATION COVERS BASIC CABLE, WATER, SEWER, TRASH AND BUILDING INSURANCE. LOCATED INSIDE GREAT SCHOOL ZONES. 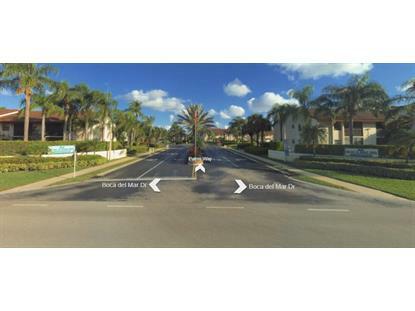 CLOSE TO BOCA MALL, FAU, RESTAURANTS, SHOPPING, I-95 AND CLOSE TO THE BEACH. COMMUNITY OFFERS A GREAT POOL AND IS IN A VERY DESIRABLE AREA TO LIVE. SEND YOUR OFFER! COMMUNITY IS CENTER TO PALM BEACH AIRPORT AND FORT LAUDERDALE INTERNATIONAL AIRPORT.